We are leading LIQUOR export & importers in Japan. Since 1987, we have exported various kinds of sophisticated "MADE IN JAPAN" products to more than 30 countries all over the world. Our mission is not only connecting high potential Japanese producers & the clients all over the world, but also making their business much smoother and faster. 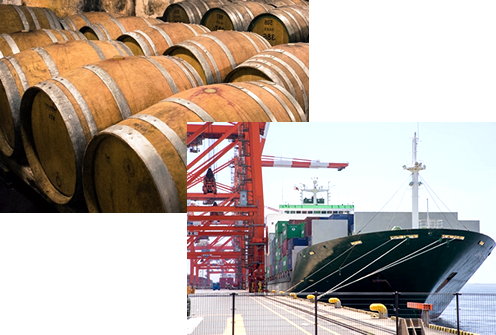 We are exporting Japanese WHISKY, GIN, RUM, SAKE, BEER, WINE, SAKE, SHOCHU and UMESHU (PLUM WINE) to many countries. The strength of us is the business speed and the flexibility. Recently we offer Private label brands as well. Currently, our main business is exporting Japanese liquors, but our mission is not only "exporting" but also we offer various services to promote Japanese local brands. Sometimes we have PR events with Japanese local goverments or the mayors to creat new demend of "not well-known but high-quality" liquors for overseas market.